I wanted to let you know this information, just in case you were thinking about buying this or already bought something from this product line. A company called Beach Body airs infomercials on TV frequently. They focus on workout products and DVD’s. I really like it because it’s something that isn’t asking you to go to the gym or to spend your whole day exercising. It’s also put together for everyday people – busy people who don’t want to spend money on gas, just to go to the gym. 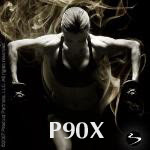 P90X, Hip-Hop Abs, Slim in 6, and Turbo Jam. These are just a handful of the products Beach Body has. The workouts are fun, they are effective, but most of all, you can do them in your own home – where you feel comfortable! But now, you don’t have to call in and give an operator all of your information. With a unique relationship between Beach Body and myself, you can order them from ME! I have a website that is specifically for me and you can order the products from my website in association with the company Beach Body. There are other perks, but let me tell you what the biggest perk is………. Succeed. Feel good. Feel healthier! So if you were thinking about ordering one of these, or if you have already tried one of their workout systems and want to try another one, then give me a call, or visit my website and order it there! It’s that easy. These nationally branded workout DVD’s and supplements are really gaining popularity. The TV is a great outlet to advertise on and so many people want an easier way to work out during their busy day. I personally am using them and feel the difference already!